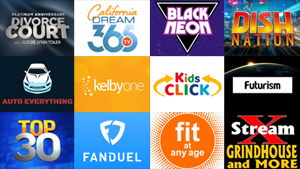 We reviewed 60 new Roku channels this week, with content in the categories of Apps, Comedy, Educational, Fitness, International, Kids & Family, Lifestyle, Movies & TV, Music, News & Weather, Sci & Tech, Screensavers, Special Interest, Sports, Travel, and Web Video. Click on the links below for more details on each channel, including our exclusive channel reviews. Napule4You - An Italian-language film, "Serata con Francesca Marini"